West Indies Tour of India : At any rate, the upcoming 4th Oct – 11th November India tour complete with 2 Tests (4th to 16th October), 5 ODIs (21st October to 1st November) and 3 T20s (4th to 11th November) will be a series to keep an eye out on for any cricket enthusiast. West Indies had earlier announced their Test squad which is to be under Jason Hoder’s captaincy – consisting of Sunil Ambris, Devendra Bishoo, Kraigg Braithwaite, Roston Chase, Shane Dowrich, Shannon Gabriel, Jahmar Hamilton, Shimron Hetmyer, Shai Hope, Alzarri Joseph, Keemo Paul, Kieran Powell, Kemar Roach, and Jomel Warrican. The panel did not take risks with Devon Smith. Although the veteran left-handed 36-year-old Grenadan opening batsman has an impressive first-class average of 39.31 over a long career of about twenty years, he had failed to deliver when he was recalled to the Test squad to face Sri Lanka after three years of absence. His performance had been inconsistent, five out of nine played innings failing to manage even a two-digit scorecard. The comparative limitations of the batting lineup have been a long-standing cause of concern, and it was not shocking to see Smith eliminated from the roster this time. With the axing of Devon Smith, the opening rests on the shoulders of the Keiran Powell – Kraigg Braithwaite duo. Sunil Ambris is called back into the fray in order to offset the exit of Smith. The 23-year old is relatively new to the international pitch, with his impressive ODI debut against England standing roughly a year back in the past. Likely to bat near the middle-end, he will be looking to redeem his image after having become the first player to be dismissed hit-wicket twice in two consecutive Tests last year in December. The tour also hopes to see the international debut of Jahmar Hamilton, who was previously enlisted on the Test roster against Sri Lanka this May but did not get a chance to play. The board also satisfies its hunch of giving the youth a chance, bringing back 20-year-old wicketkeeper Keemo Paul. Even though the pace has continued to be their main-hand weapon in the recent Tests and ODIs, The Windies are looking to diversify their bowling lineup, dropping right-arm fast bowler Miguel Cummins in favor of some fresh spin. Jomel Warrican returns to assist Devendra Bishoo in the spin bowling department, while the fast bowling is also bolstered as Alzarri Joseph is recalled into the outfit. With the ODI world cup closing in in less than eight months’ time, Windies will be looking to eke out the optimal strategies come five matches, and then further it in its ODIs against Bangladesh this December and England next year, as most agree that the ODI team shows weaknesses compared to the T20 sector. The next major fixture for West Indies begins with the opening with Test match of the India tour at Saurashtra Cricket Association Stadium in Rajkot on 4th to 8th of October this year. Gone are the supreme days when the buzz about Brian Lara’s 400 not out filled the air in the world of cricket. The decline of West Indies was underlined last year, when it did not merit a seat in the once-championed ICC Champion’s Trophy, failing to meet the criteria of remaining within the top 8. But while the once strongest team in Test and ODIs, twice world cup winners West Indies, or Windies, as it was dubbed by WCI last year, might have left behind the apex of its glory days in the 1980s and 1990s, it still remains a formidable opponent in any international Test and especially T20 nevertheless, with the recent 2016 ICC T-20 trophy, and the 2012 trophy before that, in their belt. 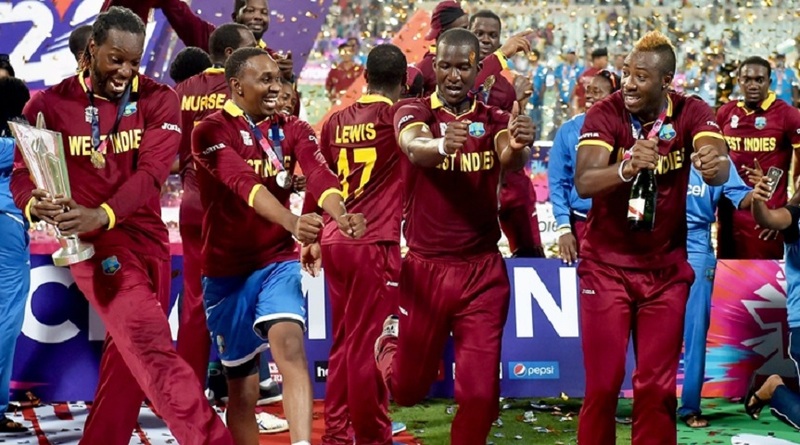 As October is closing in, so are the dates of the West Indies tour in India. The moment is therefore ripe to take a quick look at the team for some perspective before the upcoming fixture. 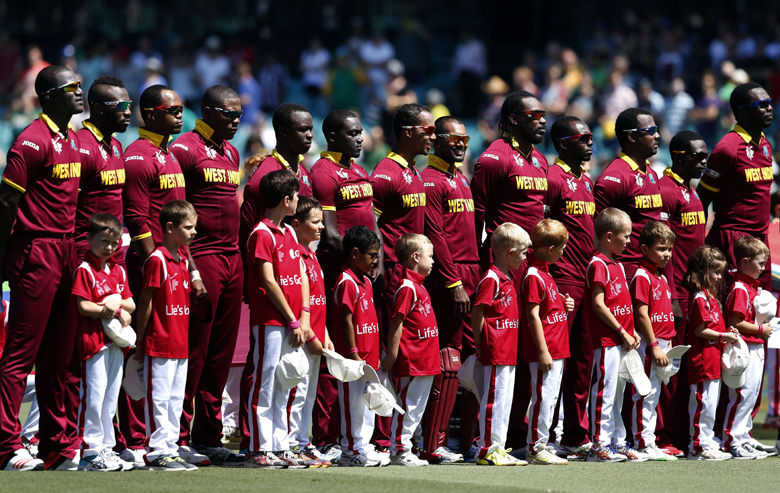 It is common knowledge that Windies represents the whole Anglophone Caribbean region, drawn from a pool of 15 territories with falling under several different nations and dependencies – and that from this springs a swath of issues that holds West Indies Cricket back from ever reaching its full potential, the last glint of which was seen during the insurgence of a unified nationalist spirit back in the 70’s. After Clive Lloyd, no matter how capable the captains, their captaincies fell short of being able to lead beyond this tension between nations. This issue with captaincy, while somewhat diminished, still remains even with remarkably good captains like Jason Hoder. The bigger issues are WICB’s infamous incompetence in administration, plagued by one turnover after another, and its failure to meet the demands of the gold-standard players. 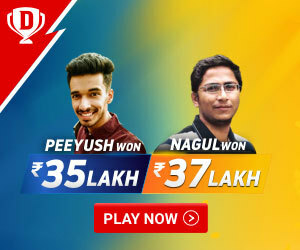 The premium players then gravitate towards T20 tournaments with higher payrolls, which is why these days you see names like Chris Gayle and Sunil Naraine not so much on the Tests or ODI national squad as on the IPL auctions. Most recently, West Indies’ attempts at winning a tiebreaking T20 match was thwarted by a nail-biting comeback when Bangladesh sealed the deal with Mustafizur Rahman’s outstanding performance that put out the fire of an otherwise unstoppable Andre Russell. Bangladesh won the T20 International Series in August with a 2-1 lead. The T20 series of three paralleled the result of its precedent. Bangladesh had also won the ODI series right before it by a 2-1 lead, leaving only the two-Test match wins as the saving grace for West Indies in the tour. It is true that Andre Russell’s absence in the last two ODI matches had left its impact. The 30-year-old all-rounder’s performance in the tour was nothing short of stellar, punctuated only by an unfortunate knee-injury, continuing his streak of picking up injuries that cut him short from his Pakistan Super League run earlier. The empty foot imprints of the more gold-standard players, what with WICB’s failure to enlist all the top-tier players in the international matches, still do not stunt the potential of a West Indies test team that can give India a run for its money, if not dominate it. With the current West Indies trend of fast bowling almost making callbacks to the rampaging 1980s West Indies, it can be the unanimously agreed upon strong suit for the forthcoming fixtures. The intimidating pace quartet of Holding, Malcolm Marshall, Joel Garner and Patterson will be threats to watch out for. To revise figures, In the last five Tests against Bangladesh and Sri Lanka, the head to wear the wreath of 84 out of 96 wickets would be the pace lineup. Without a shadow of a doubt, the Windies will try to pursue this consistency into the foreseeable future.